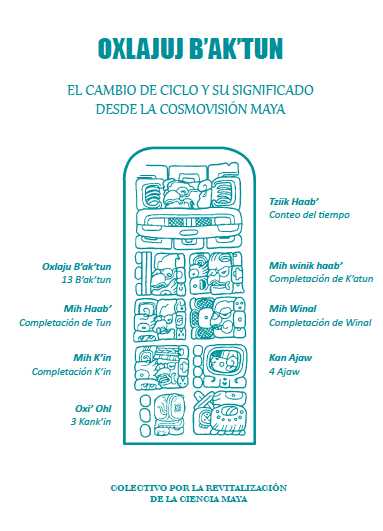 For this auspicious date, 4 Ajaw 3 K’ank’in (13.0.0.0.0), it is appropriate to publish a Maya point of view. The following is a partial translation into English of a Maya manifesto by the Guatemalan group known as the Collective for the Revitalization of Maya Science. Here appears the title page, followed by a page of participating organizations, and then the English translation. To download the original manifesto in Spanish, click here. Our long-time colleague Ajpub’ Pablo García Ixmatá has given us a report on his activities since returning from the congreso in Valladolid. Workshop themes have been Epigraphy for Beginners, Maya Calendars, and the topic Thirteen Bak’tun. 100 men and women Maya leaders in Chichicastenango, El Quiché. 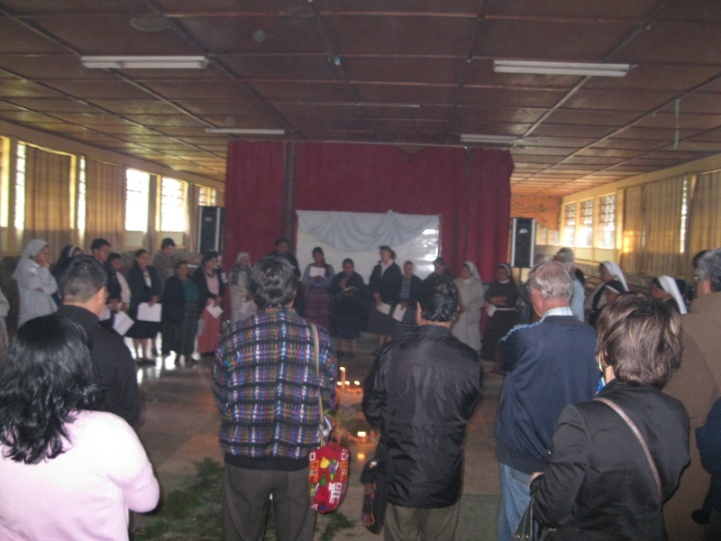 150 community and village leaders from Cunen, El Quiché. 20 columnists from the written press. 20 columnists from TV Maya. 125 Tz’utijiil leaders including Ajq’ijab and Iyomab’. 1500 teachers of the Teachers’ Union of the Department of Sololá. 1300 Kaqchikel, Tz’utujiil and Spanish–speaking students from the school district of San Lucas Tolimán. 40 students from the INGEP, University Rafael Landivar. 60 students from the EDP course at the University Rafael Landivar. 70 men and women community leaders from Zacualpa, Quiché. Quiché diocese, held in Chichicastenango.